Lights, camera, action! 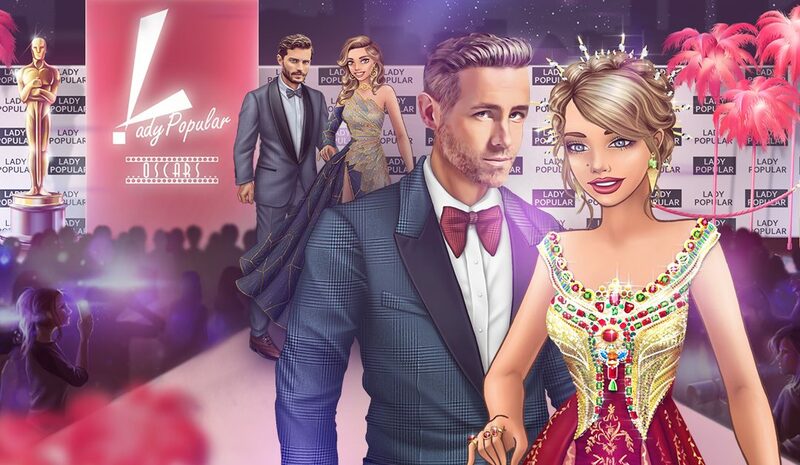 The amazing new collection in Lady Popular is here: Hollywood – glamorous collection for him and for her. How about sneaking into an exclusive Hollywood Christmas party? Or something even better – let’s throw our own! Make an entrance with mesmerizing dresses and dazzling accessories from this new collection! On а special occasion, how can you settle for anything less than spectacular? Four new hairs are waiting for you in the Beauty salon – Celebrity Hairstyles category. Everything is limited so don’t waste any time and buy your perfect outfit now! We have a special surprise for your fiancé too! Besides the amazing clothing items, you can get your fiancé a brand new…face for Christmas! The new masks will be in Accessories category in HIS wardrobe. It’s so fun! Are you ready for a glamorous Hollywood night?